So I am putting on a concert of all my own music at the Center for New Music (55 Taylor St. SF CA) on May 26th at 7:30pm. More info below. 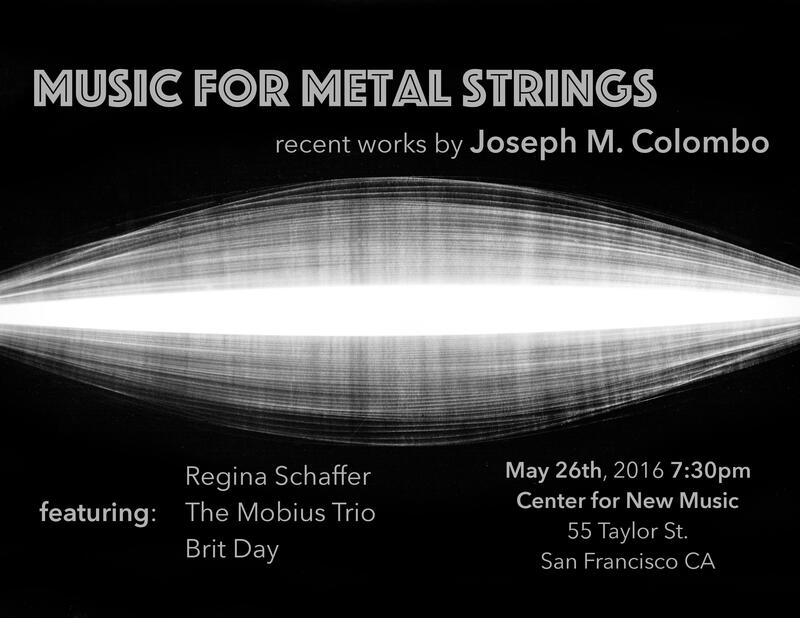 Featured musicians: the Mobius Trio, Regina Schaffer, and Britton Day. 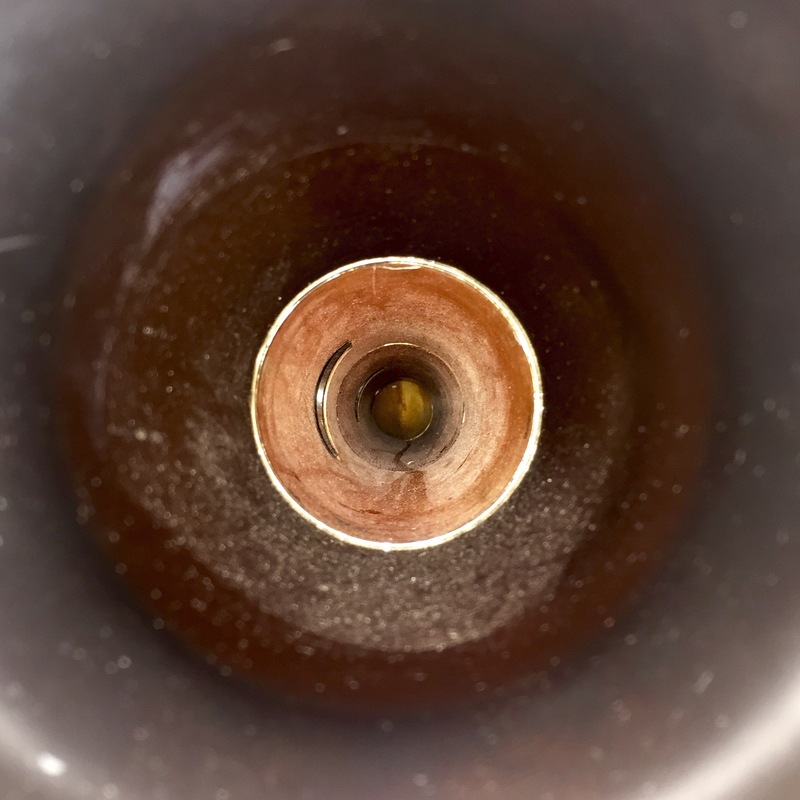 A rare look down the inside of a contraforte. 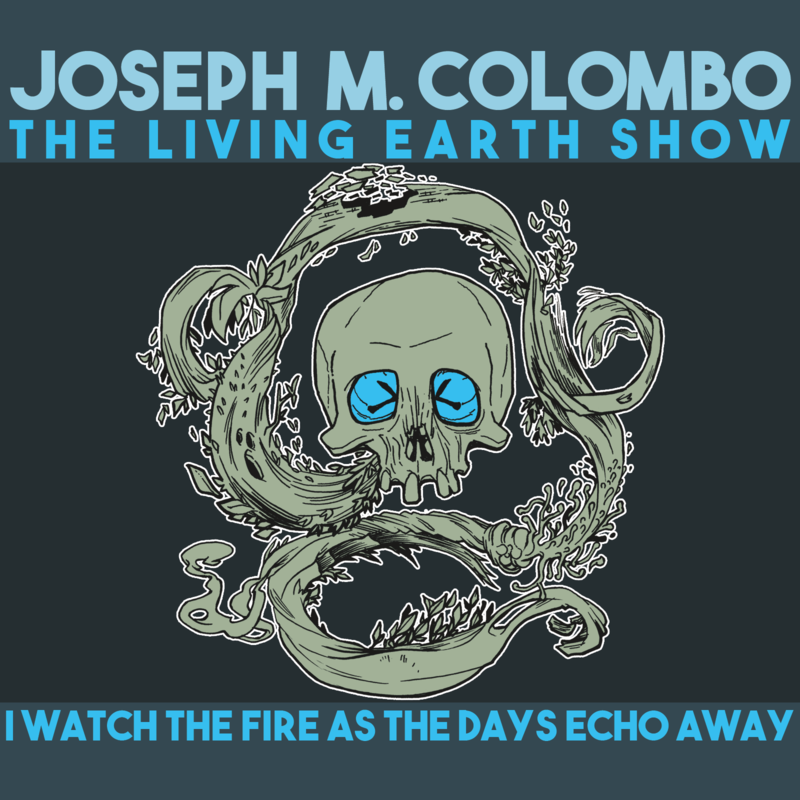 My piece for the Living Earth show is out today on Aerocade Music. I’m super excited that Aerocade Music will be putting out my piece I Watch The Fire As The Days Echo Away. Written for and performed by the Living Earth Show. 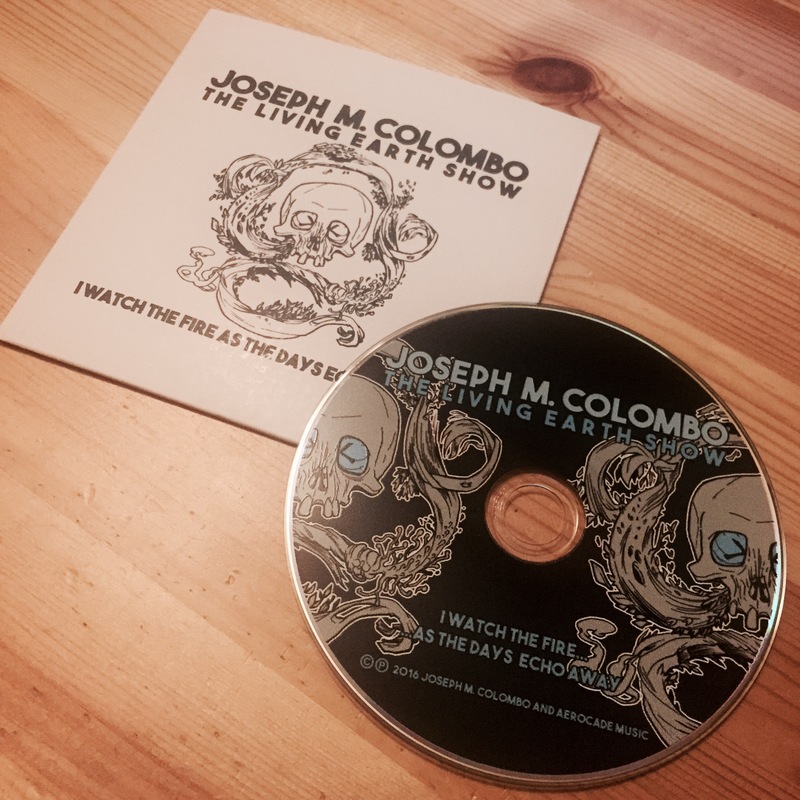 Release date is April 22 (Earth Day). Check out here for more. 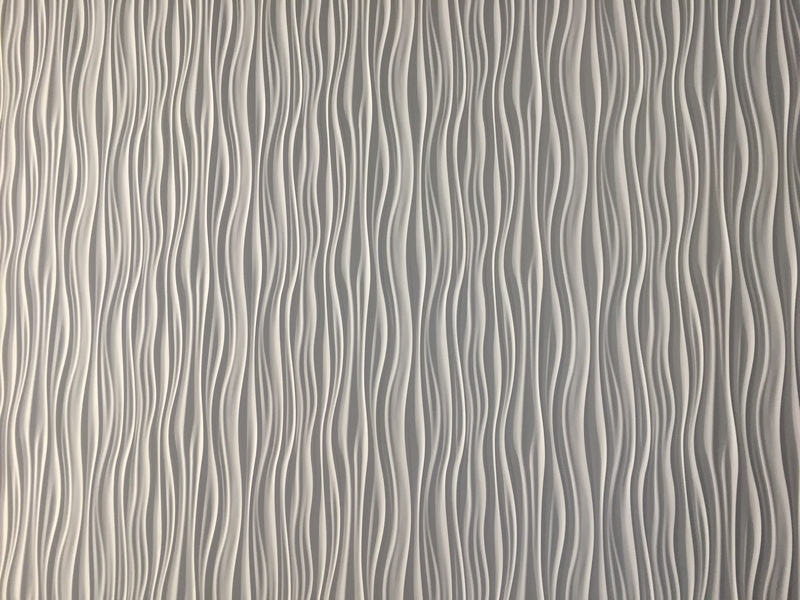 The above picture is of a wall right above the reception desk at 33 New Montgomery St here in San Francisco. Unfortunately I currently know nothing of the author of this piece of corporate quasi-art, but for me it is a microcosm of what defines both good repetition and bad repetition. Good repetition. These undulating white waves fit together irregularly, with each individual wave articulating a different set of parameters (i.e. frequency of repetitions, height, thickness). This creates a satisfying balance between the predictable (little white waves) and the unpredictable (how they fit together). For somebody like me, this piece creates an intrigue that I could be mesmerized by for quite some time, despite its flaws. Bad repetition. Of the above sample portion, only about a sixth of it is unique. The rest consists of a straight up copy and paste repetition of that initial chunk. That is a large scale repetition. And that is to say a perfectly identical large scale repetition. It is often this exact sort of repetition that pushes something over into oppressive, aggravating, or banal. We recognize, if even just subconsciously, that this whole thing made up of only this one strand that gets repeated, and we compartmentalize it, and write it off. The larger thicker waves that help to clearly separate this into its component sections don’t help either. I suspect that if these repetition were altered or changed a bit, say shifted (transposed) left or right a little bit every time it was repeated, we would have a harder time recognizing the pattern, and it would be able to hold our attention for considerably longer. Now, of course I realize I may be judging this piece based on criteria that it was not necessarily meant to meet, after all it is “corporate quasi-art”. It does a wonderful job considering its purpose and context, and as the receptionist told me, tons of people come in every day just to take a picture of this. And it is quite striking. But I strongly feel it would be even more so if it went the extra mile to avoid this recognizable construction repetition. And lastly, it wasn’t until I had almost finished writing this post that I realized the main theme of this post stems from my childhood. The whole video is worth a watch, not just for its own repetition, but for the gorgeous score. Animaniacs was one of the last cartoons to carry on this particular mickey-mousing tradition, and I believe these scores were the last to be recorded in the same studio that the old Loony Tunes were recorded in, before it was remodeled. I don’t always post about it, but I am one of the hosts of the weekly public radio program Music from Other Minds. The shows airs every Friday night at 11pm (PST) on KALW 91.7 FM San Francisco, and is then available to stream online afterwards. I hosted last night’s show, which was a preview episode for the upcoming festival, and Michael Gordon joined me for the episode. You can listen to that here. One Guitar. One Take. No processing. This wonderful group will be dancing to some of my music (also featured in the above video) this weekend.